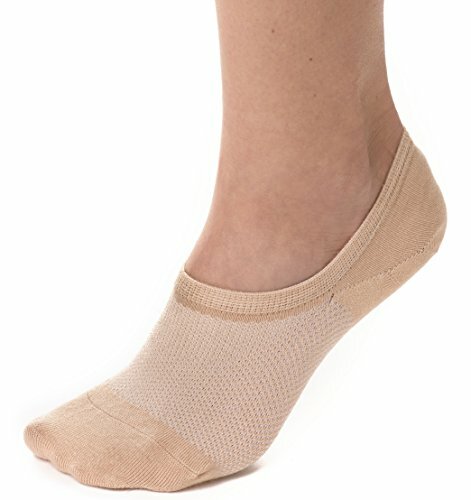 3 Pack - Let your feet breathe with this unique bamboo blend no show sock. Seamless toe stitching and reinforced in all the right places. Silicone heel grips and comfortable fitting ensure that you look good while feeling great. Moisture wicking and durable fabric, our socks are perfect with booties. Sometimes known as footies, low ankle or half socks - designed to feel invisible and stay hidden. 3 Pack - Perfect fit for BOOTIES, Taos, low tops, toms, sports shoes, sneakers, chucks, converse - or even just around the house. With reinforced heel and toe for maximum endurance. ODOR CONTROL - Anti-bacterial, sweat absorbent material fights foot odor keeping you FRESH. If you have any questions about this product by bam & bü, contact us by completing and submitting the form below. If you are looking for a specif part number, please include it with your message.